OCSD (Optical Communications and Sensor Demonstration), formerly known as IOCPS (Integrated Optical Communications and Proximity Sensors for Cubesats), is a cubesat mission by the Aerospace Corporation of El Segundo to demonstrate a laser communication system for sending large amounts of information from a satellite to Earth and also demonstrate low-cost radar and optical sensors for helping small spacecraft maneuver near each other. 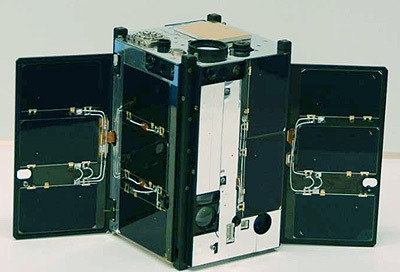 IOCPS consists of a pair of 1.5-unit CubeSats, which are launched together as a piggy-back payload. The mission is expected to take two years and $3.6 million to develop and operate. In February 2013, OCSD was down-selected for a launch opportunity through the NASA ELaNa program. Launch is planned in 2015. OSCD A wath be launched as a pathfinder in mid 2015 with AeroCube 5C to demonstrate all the subsystems required for the primary OCSD mission, and will be used to evaluate the performance of the attitude-control system. In orbit, it suffered an attitude control problem that is preventing its laser communications payload from being tested. OSCD B and OCSD C, featuring a simplified version of the laser flown on OCSD-A, as well as a new thruster system that uses steam for propulsion, was launched in 2016.